This is a brand name tablet from a reputable hardware vendor, so no problems with identification are expected. The tablet has a nice slim, but sturdy aluminium frame and a high quality 1024x768 IPS screen. A Mini-HDMI connector is also available. This device is perfectly unbrickable because it effectively has a hardware FEL button. Also the manufacturer helpfully provides recovery images for the original Android system, so that the tablet can be always restored to the factory state after any crazy experiments. There is a clearly visible MSI Primo81-216 label on the back of the tablet. It simply can't be mistaken with anything else. HDMI Works with simplefb (kernel 4.4rc1 or newer / u-boot v2015.04 or newer). LCD Works with simplefb (kernel 4.4rc1 or newer / u-boot v2015.04 or newer). USB OTG Works in host-only mode (support was added in kernel 4.3). 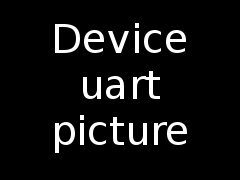 Touchscreen A goodix touchscreen driver exists in the mainline Linux kernel since v3.19, but devicetree support has only been added in kernel v4.1. Basic functionality (cursor positioning and "left-button" click emulation) works. 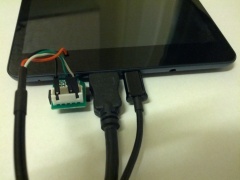 Accelerometer A driver exists, but is currently untested. Basic support in mainline u-boot (SPL and console output on the LCD) is available since u-boot v2015.04. Host mode support for the USB OTG port and console input with a USB keyboard is possible with the current mainline u-boot git 'master' branch and will probably be enabled by default in u-boot v2015.07. For building mainline u-boot, use the MSI_Primo81 board name. Use the sun6i-a31s-primo81.dtb device-tree file for the mainline kernel. The VOL+ button triggers FEL mode. The button is directly connected to the UBOOT_SEL pin and drives it low when pressed, as can be easily verified by reading the BOOT_SEL_PAD_STA bits from SRAM_VER_REG. This makes the device unbrickable even in the worst case scenario of NAND corruption. The tablet is using a high quality B079XAN01/LP079X01 7.85" 768x1024 IPS LCD display (the same as in the 1st generation iPad Mini). This LCD display is using MIPI DSI interface, but the A31s SoC does not have native support for it. So a separate SSD2825 bridge chip converts parallel LCD interface into MIPI DSI for this display to work. Such setup is somewhat more complicated than a regular LCD display and needs a special code path in the u-boot display driver. The LCD's orientation is upside down, portrait mode, meaning the origin (0,0) point is in the bottom right corner if held upright, or the corner closed to the headphone jack. The touchpanel is a capacitive touchpanel, supported by a Goodix GT911 CTP IC. The touchpanel has a different orientation than the LCD. It has a landscape orientation, with the origin point in the same corner as the LCD, the corner closed to the headphone jack. It is possible to temporarily abandon the SD card slot and instead gain UART serial console by using a MicroSD Breakout accessory. This is useful for low level u-boot/kernel debugging without any need to dismantle the device. Even without the SD card, the system (u-boot + kernel + initramfs) still can be booted over a MicroUSB cable by using the FEL/USBBoot mode provided by BROM. A MiniHDMI cable can be used to connect a big desktop monitor. Something like a USB OTG Charging Hub accessory allows using USB peripherals (keyboard, mouse, ethernet adapter, etc.) and supplying power to the tablet at the same time. The tablet has a one-piece aluminum bezel/back. It is fastened to the LCD by 5 equally spaced plastic clips on both long sides. Since the aluminum is quite stiff, you should use a Plastic_tool to pry it apart. Using a metal tool is likely to warp the aluminum back. This page was last modified on 11 May 2016, at 07:32.